Few in Hip Hop are as mysterious as MF DOOM (remember all caps when you spell the man’s name). From his constantly-masked appearance, his use of multiple aliases for different projects, his often erratic output, and the use of imposters in his live performances, MF DOOM has one of the most shrouded personas of any rapper in the game. Interviews are rare, the mask is never off, the one tweet ever sent out by DOOM simply states “DOOM IS NOT ON TWITTER”, and you will not see too many videos featuring the man himself. This is by no means a bad thing. In an age where the importance of a creator’s image threatens to usurp that of his/her art, it is refreshing to see an artist who is not concerned with making himself palatable to the public. None of this makes DOOM any less essential; he has cemented his status as one of the most significant underground rappers of all time. His nasal, raspy voice, intellectual lyricism, and taste for unconventional production have put him in the canon of all-time greats. Both Golden Age and new school rappers have worked with him, from De La Soul and Inspectah Deck to Talib Kweli and Earl Sweatshirt. Madvillainy, his collaboration with Madlib, is considered a modern classic, and albums such as Mm…Food and The Mouse and the Mask have also achieved cult status. If anything, his mystery only serves as a catalyst for his popularity; every time he does drop something new, it is guaranteed to light a fire under Hip Hop communities. But if one wants to try and understand MF DOOM a little better, it may not take much more than a brief glance back. Like all who have struggled, DOOM has laid his soul into his work. In 1970s New York, two young brothers named Daniel and Dingilizwe Dumile grew up as Hip Hop began to explode into ubiquity. Without further ado, Daniel and his brother knew they had to be part of the movement. In the late ’80s, the two brothers and a fellow rapper formed a group named KMD—Kause in a Much Damaged Society. Daniel at the time went as Zev Love X, and his brother’s moniker was Subroc. After appearing on 3rd Bass’ hit record “The Gas Face”, the group signed to Elektra Records. KMD released their first album, Mr. Hood, in 1991. The album became a small success due to the popularity of the lead single, “Peachfuzz”, Brand Nubian’s guest feature, and crisp production and lyricism from both of the brothers. The group started to gain some buzz in the underground. Elektra then let the group begin work on a second album named Black Bastards, or as it appears on the cover art, Bl_ck B_st_rds. As opposed to Mr. Hood, this album was to be more serious in subject matter, with racially charged themes and exploration into topics of drug and alcohol abuse. Although some songs from Mr. Hood had similar themes of racial identity, it had a relatively lighthearted sound. Black Bastards had more experimental production from Zev and Subroc, and would have a much darker sound to match its radical themes. This would even be reflected on its album art, which showed a racist caricature getting lynched. There would still be the strength in lyricism and production that characterized the first album, but now it would go to greater heights. Shortly before the album was scheduled for finishing, things took a tragic turn. Subroc was struck and killed by a car while attempting to cross the Long Island Expressway. Zev was deeply impacted by his brother’s death; this was someone he had grown up with and was extremely close to. Not to mention they had been following their dreams and had formed a formidable musical partnership. Nonetheless, Zev pushed on and finished the album the following year. However, once the album was completed, Elektra Records decided to cancel its release due to the controversial album art and subject matter, deemed too much so for a group without any mainstream popularity. Zev was then promptly dropped from Elektra Records and left to his anguish. Zev lost his brother, his group, his record deal, and the release of his album. This hit him hard and he lay low from the music scene for a few years. 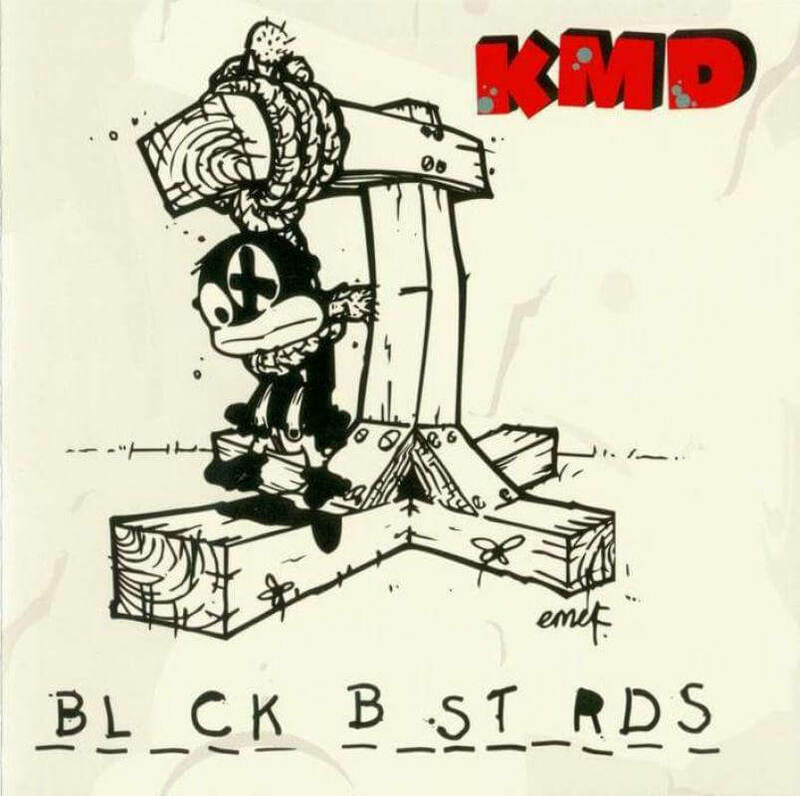 Meanwhile, Black Bastards had become bootlegged and circulated through KMD’s small but dedicated following. Despite the hype the album was generating in the underground, Dumile was nowhere to be found. He had only left behind a bootlegged, barely-mastered Black Bastards and a warning of revenge “against the industry that so badly deformed him”. After a few years, a mysterious figure with a stocking over their head started freestyling at some poetry events in NYC. No one was sure who he really was, but the rhymes were dope. The stocking was soon replaced by a metal mask that resembled Doctor Doom, the villain of the Fantastic Four comics. This MC started going by the name of MF DOOM—Masked Face Doom. After gaining buzz in the local scene, he went to talk to Bobbito Garcia of The Stretch Armstrong and Bobbito Show. At the time, Bobbito owned Fondle ’Em Records, a vinyl-only label that was used to showcase the artists that Stretch and Bobbito featured on their show. MF DOOM released three singles on the label and they sold relatively well. Around the same time, DOOM told Bobbito that he owned the masters to a legendary underground album that never had a chance to be released. This turned out to be none other than Black Bastards. MF DOOM was Zev Love X in the flesh—older, wiser, raspier, covered, and perhaps more hopeful. Fondle ’Em Records released a few KMD songs, including “What a N*** Know?”, the lead single from Black Bastards. An EP was collected and released, named Black Bastards Ruffs + Rares. MF DOOM now had successful music out from both his solo career and leftovers from KMD’s prime. 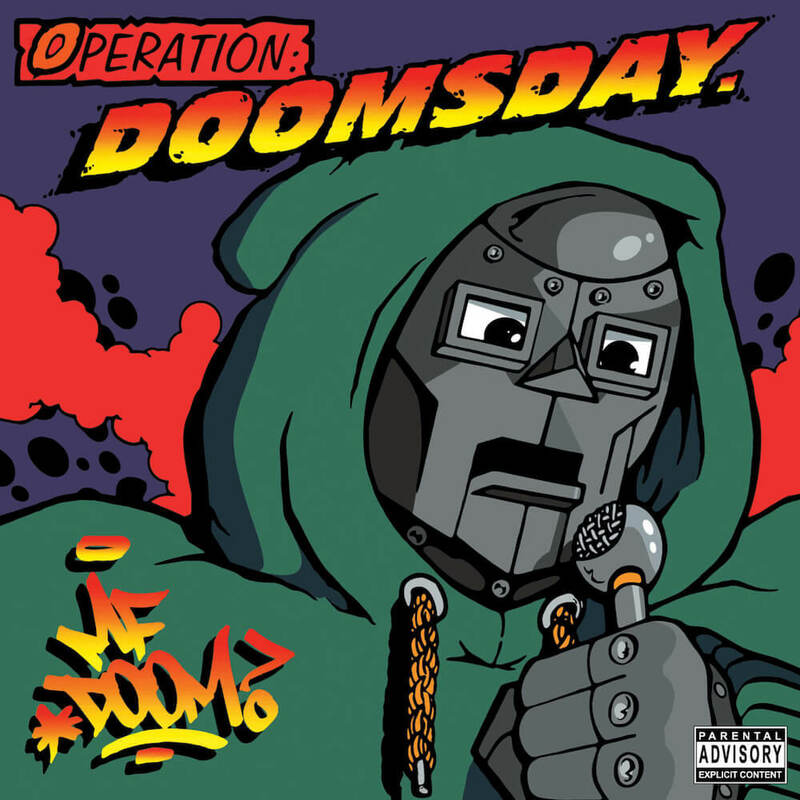 Based on this strength, he finally released his first full-length solo LP, Operation: Doomsday, under Fondle ’Em, which featured the singles he previously released under the label as well as one of his most famous songs ever, “Doomsday”. A year later, Black Bastards also saw its first official release. Both were received with open arms by the indie Hip Hop community. Either unmarked or engraved, hey, who’s to say? Either engraved or unmarked grave, who’s to say? And the rest is well-known. MF DOOM would go on to release several more albums under various guises, including Viktor Vaughn and King Geedorah, form many fruitful artistic partnerships, and establish himself as one of the most lyrical rappers of all time. The mask never comes off, however; the pain from many years ago still cuts deep. DOOM is never seen without the mask on, and it has become a part of who he is now. Far from a villain, though, DOOM is the ultimate tragic poet, a man who came from unimaginable adversity to take back his deserved crown, using it to cover his scars. He did indeed take revenge on the major label system that left him for dead by becoming a universally acclaimed artist on exclusively independent labels. It may have seemed like Doomsday when Zev lost everything, but DOOM rose from the ashes to take it back. You would be hard-pushed to find a true Hip Hop head who does not love MF DOOM. After struggling through, the man has become a legend in his own right. It’s a word! No, a name! MF – the super-villain!